I love food places with an illustrious history. 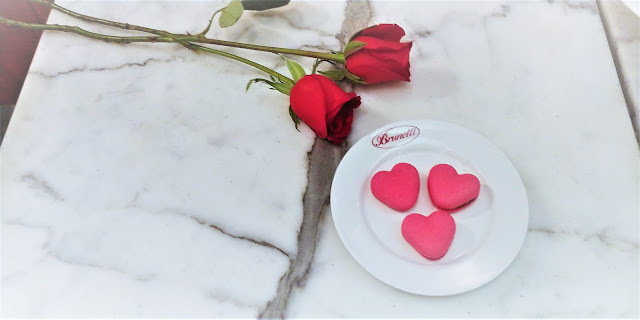 Brunetti was founded in 1985 by Giorgio Angele. 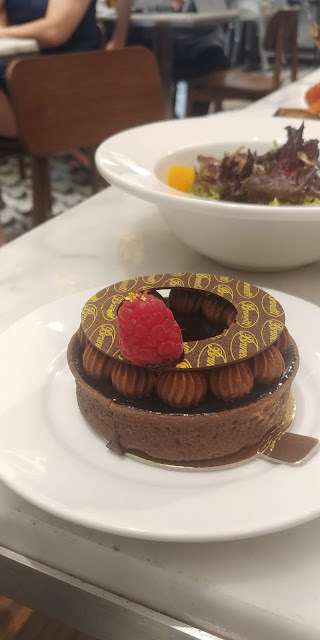 He began his training in Rome at the age of 10, and at 23, traveled to Australia with the Italian Olympic team as a pastry chef. 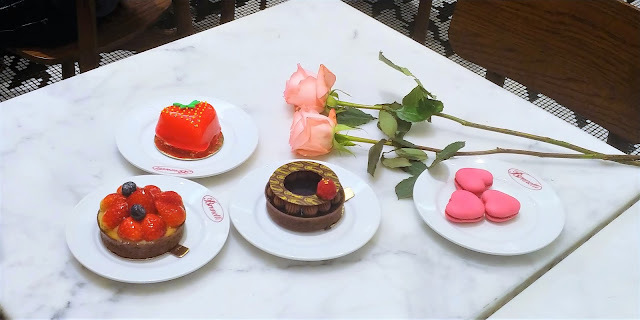 Since then, Giorgio has been an indispensable part of the pastry industry with European-style sweets and desserts being his specialties. 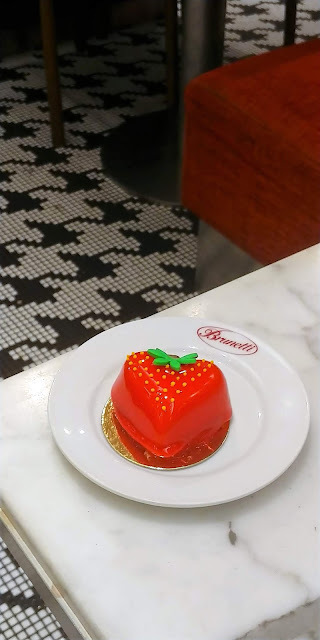 Over the years, Brunetti expanded around Australia and 8 years ago, its first international branch opened in Singapore. 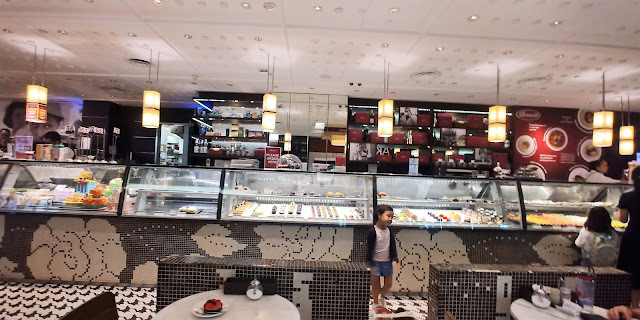 Today Brunetti operates at two locations in Singapore with the pioneer outlet at Tanglin Mall. When relationships turn dreary amidst the daily grind, spend some time with your loved one to reflect upon the starry-eyed moments shared with each other. 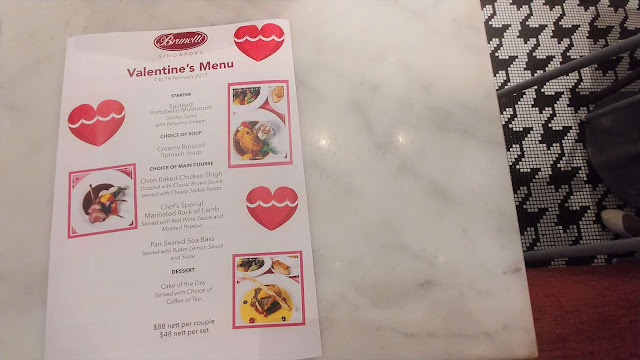 This Valentine's, Brunetti is offering mains at $88 per couple or $48 per set (good for sharing). 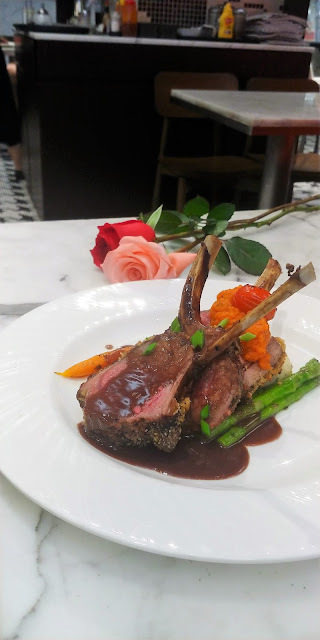 Select from pan-seared seabass, rack of lamb on a bed of mashed potatoes and grilled veg, and other tantalizing options! 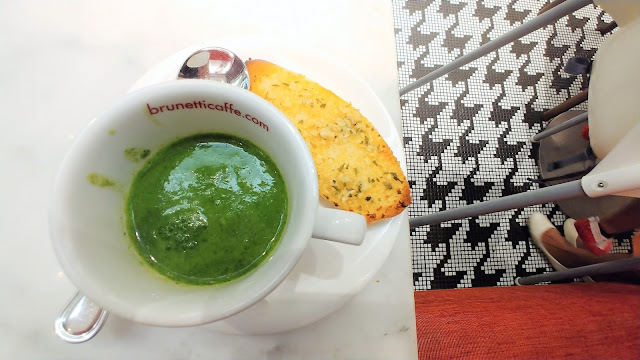 You can select either the Creamy Broccoli or Spinach soup. The broccoli soup was unlike all previous broccoli soup I've tried - it was satiating despite it being a cream-based soup. 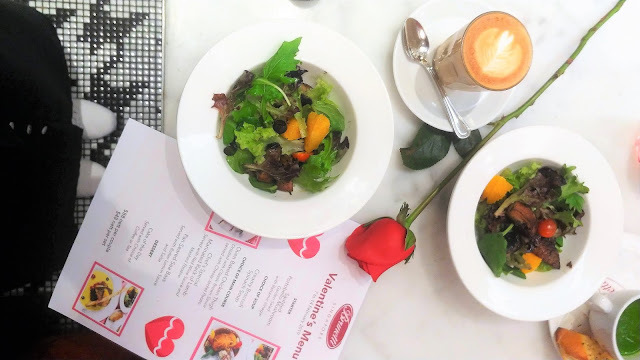 We got a healthy start to our meal with a Sauteed Portobello mushroom garden salad with balsamic vinegar. The fresh mesclun mix coupled with a citrus fruit was pretty refreshing. 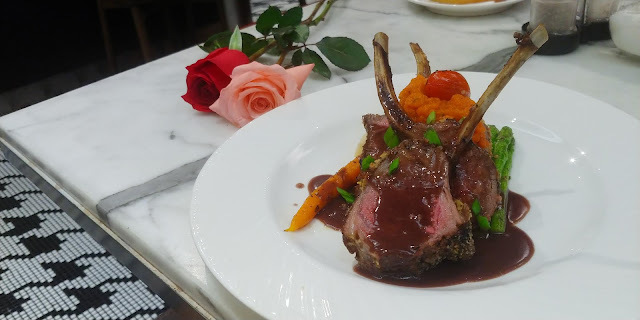 If you and your partner love different types of meat, Brunetti serves various mains for Valentine's Day. 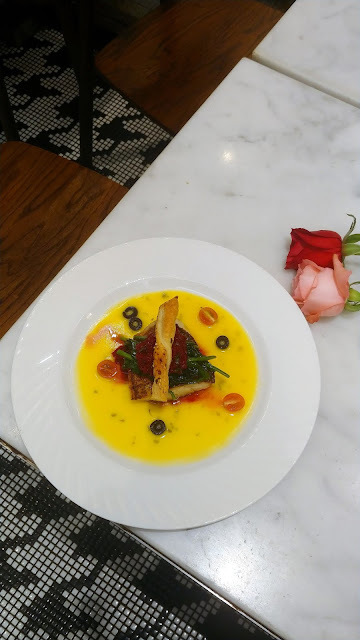 Select from any of the following: Oven Baked Chicken Thigh, Chef’s Special Marinated Rack of Lamb or Pan Seared Sea Bass. 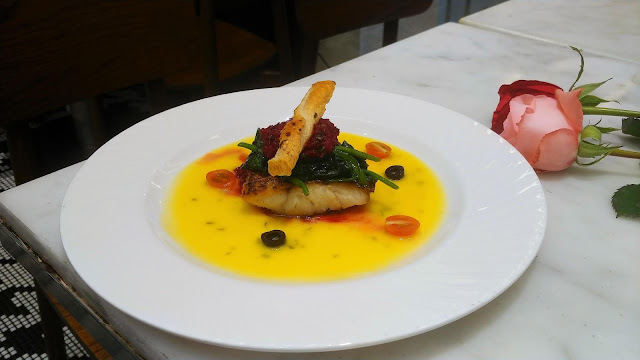 My favourite was the pan seared sea bass.